Most of the latest updates are on Facebook page. Please visit there if you can. This my drivetrain with sprockets from the Nexus 3 speed gearing system. Front chain wheel is 44T and at the workshop rear sprocket is 20T, Sometimes 21 teeth or can also come with 18T. The chain width is 1/8". 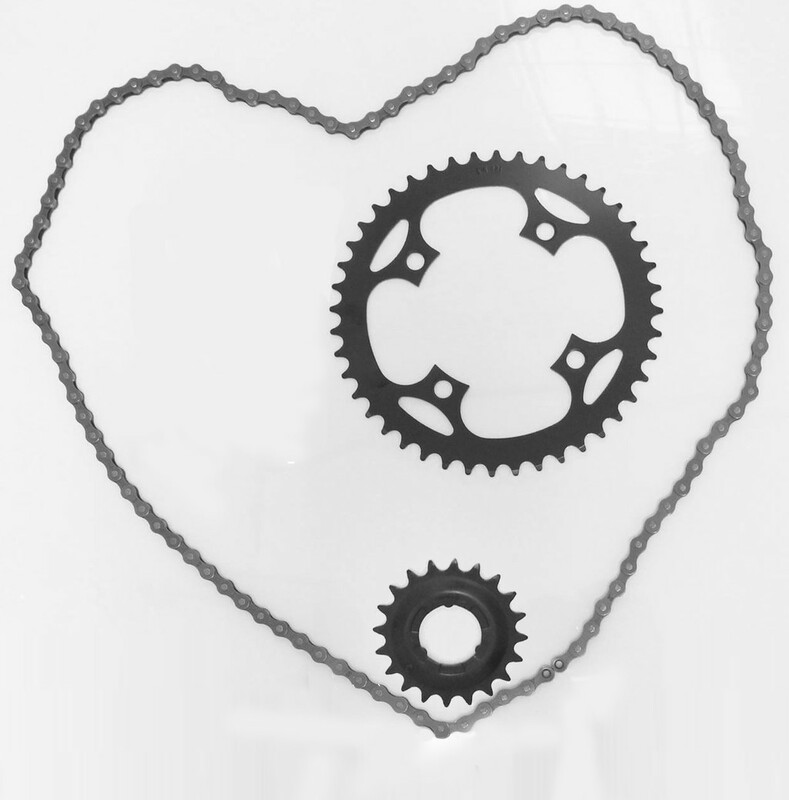 Drivetrain is the like the heart. Look after it. Treat it right. So don’t break my heart….. i don’t want to get a broken heart…. Do you think broken hearts can be mended. I know for sure with bicycles you can fix a drivetrain by applying spare parts. i think it is a bit different with people. Their feelings are bit complicated than mine. So with chains keep it clean, apply oil at least fortnightly and keep an eye out for chain tension. Please don’t ride a bicycle with a dragging chain. True love lies within me. i am a bicycle and my hear is pure. Writing this regarding two bicycle models that was offered via workshop and online. Decided to do a precautionary recall on two models and I am sincerely sorry about this. This is a precautionary recall and if you ride the bicycle as it was offered with mudguards, the bicycle is very safe to ride. Can guarantee that your safety was never compromised. 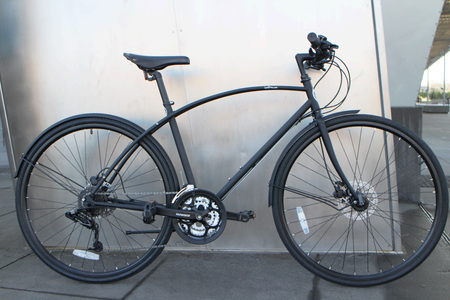 http://iamfree.com/bicycles/i-am-free-girl-matte-black-chromoly-frame-step-through-bicycle (i am free girl apply to bikes sold between between 22 January 2017 to 09 September2017). i am free girl bikes sold after 1 December 2017 has new replacement fork. 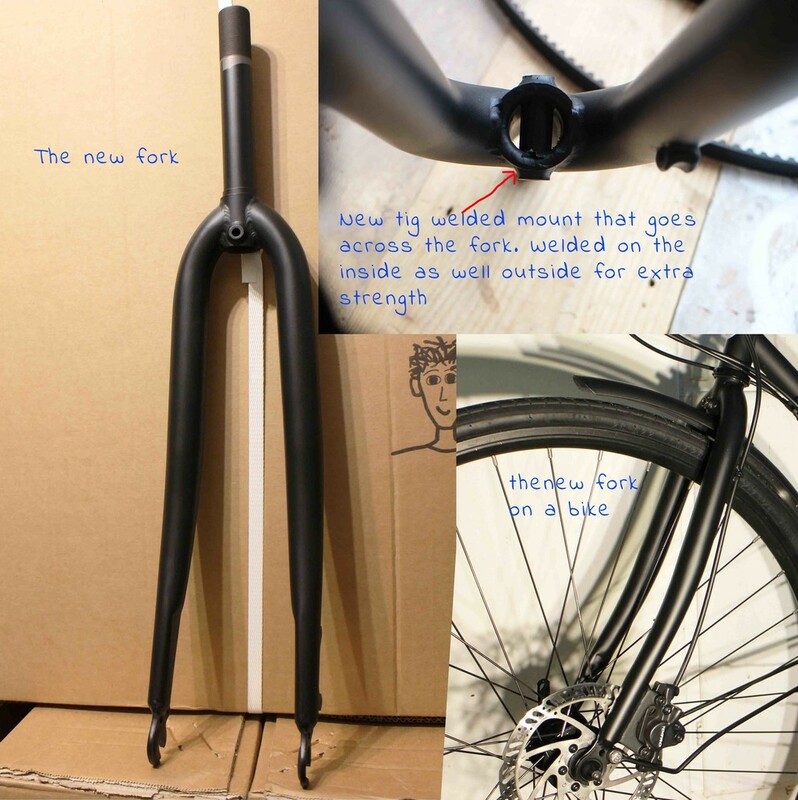 The main reason for the recall is, found out that some customers of the above bicycles decided to remove the front mudguard bolt (mudguard bolt is located at the point where mudguard meets the fork). This mudguard mount bolt acts as a safety bolt. By removing that bolt may saved 30grams but by keeping it would acts as a safety bolt. Also these mudguards are really light weight. So for reasons that I cannot explain some customers remove the mudguards and that bolt. 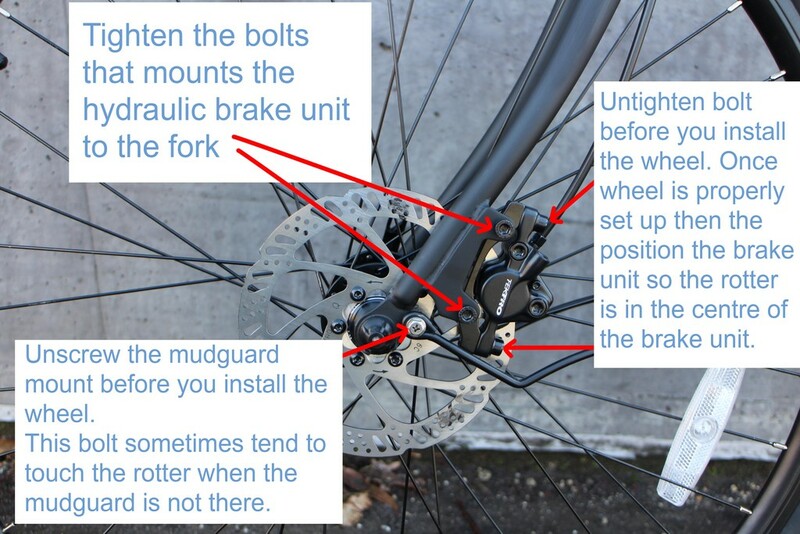 Also if the mudguards were removed and the bolt was left, still that safety bolt gets removed on a later day. The above mentioned bikes has a lugged type fork. With lugged type, it users a method called brazing to join metal parts. This method has been used for hundreds of years and its quite common in bicycle manufacturing. So if in case there was any failure in the fork that mudguard bolt acts as the safety until you get an opportunity get the bike checked. This original fork has five safeties in built. I can guarantee you that the fork is the only part of the above bikes that was manufactured by using brazing type. Brazing type is much expensive. Good material and skilled welders there is no functional difference between the brazing or TIG(tungsten inert gas) welding. Brazing looks good. Rest of the bike is welded in TIG welded. Above two bicycle models are the only bicycles that was offered with lugged type fork. All the other bicycles are TIG welded and comes with the larger 1 -1/8" Threadless forks. With TIG welding, the welded joint is stronger than the parts it is welding. So those forks are fine. If the bike came with mudguards please keep them and if you remove them please keep the mudguard bolt/safety bolt. The above bicycles were manufactured by one of the largest and reputable bicycle manufactures in China. I met up with the owner and as for him couple of two large Australian bicycle brands sources their bicycles from this company and I did checked up on this. Their main buyers are based in Europe. The above bicycles came from the same production line. Did lots of due diligence prior to sourcing from them. Please refer to the image associated to this post regarding the new replacement fork. With the new fork there is a new TIG welded mount that goes across the fork. Welded on the inside as well outside for extra strength. So even if owner of the bike decide to remove the front mudguard, the mudguard mount/ safety bolt the new mount would act as the safety incase forks joint fails. At the workshop there are same amount of forks that matches to bikes that was sold so plenty of forks are available. It would take only about 1/2 hour or less to do the change and it is highly recommend that you change the fork of your bike. It is done free of charge. If you can do the replacement yourself would hand in a new fork free of charge. Please bring in the bike as soon as possible. Workshop is open during the week 10am to 6:00pm (summer months). Saturday and Sunday 10am to 5:00pm. If that time is not convenient for you please nominate a time and I shall make sure that I'll be here. If you are around 20kms from Fitzroy happy to visit you and get this fork change over done free of charge(if so please give me a time before 9am and after 6:30pm). If you have already sold the bike and know who to please let them know about this information. If you are interstate or country Victoria based please let know. I would mail the new fork. Fee for a fork change over at a bike shop should cost around $30 or $40. I would reimburse your fee up to $40 upon sending a copy of your receipt (interstate or country Victoria customers only). If you have one of the above mentioned bicycles and does not have a receipt or you purchased the bicycle second hand. Please bring in the bicycle and shall install the fork free of charge. If you are based interstate and does not have a receipt can post the fork for $35 and you have to bear the cost of replacement. Thank you very much for trusting an iamfree bicycle. This product recall is done in good faith. Knowing that it is the right thing to do and would not compromise anyones safety what so ever. I am very sorry about any inconveniences caused by this precautionary recall. Please reply this email or contact me on bellow listed numbers for any further clarifications. At the showroom bikes are sold fully assembled, tested and ready to ride. Online interstate sales, bike would arrive in a box. Here is how to set it up. Intestate sale or delivered bikes (deliver via StarTrack couriers) - these bikes would be sent after conducting a full test. That means firstly bike in a box get unboxed at the showroom. Then adjust and tune the gears. 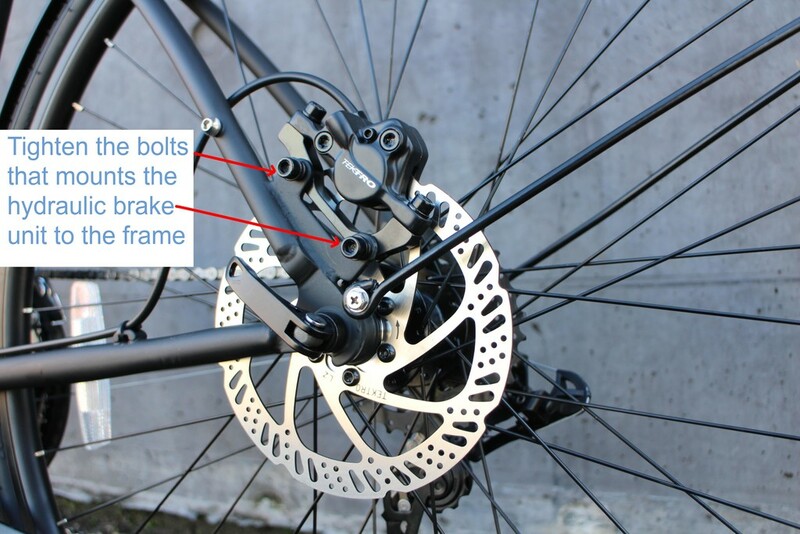 Adjust and reposition hydraulic disc brakes and test the bike. Make sure all is in order. Then repackage and ship. So it is guaranteed that you get a good bike. Bellow are some how to videos for further assistance. 1. Remove the bike from the box. Remove all the cable ties. 2. Inflate the tyres to 85 PSI. 3. Mount the bike to a repair stand. 5. Re position the handlebar so it is upright and make sure it is centered and then properly tighten the bolt. This is one of the best videos that I have seen on this. 12. Install the bell, front reflector and rear reflector. Introducing a bicycle called Fly away with me. When you are obsessed with bicycles you always look out for inspiration and trying to see what is out there and what was out there. One of those days I came across this bicycle "BSA airborne bicycle", That was it. Just know when you see something beautiful. I knew that bike likes me soon as I saw it. Just like dogies, they sense the people that like dogies. Weeeeel sorry to bring that in to this. I am a huge huge vintage bike fan. There is so much inspiration and craftsmanship in them. Now next thought was how can I get this bike to relive. Then I found out there are many who has done it. So I am not the only one. So thought rather than do a replica, see if I can modify this to match some of todays bikes geometry and look. Saying that did lots and lots of research on this bike. Why BSA made this bike as it was. Whether there are any patent issues.. Now the best part of this bike is back in the day during the height of the second world war British Army was looking for a freedom machine to hand in to the paratroopers. Jump and fly away with the bike, land, hop on one of these and run for your life. Also they wanted one bike to rule them all. That is to fit all solders from all walks of life. Big, small, tall, short. So they came up with this genius idea to have round frame and also to fold it in the centre during the jump. Soon as you land quick set up and go. Also fit the bike to anyone. Now this modified version cannot be bended. It is stiff as a nut. Also there are some motorised versions of this bicycle was done back in day as well and they are quite rare. So that is the inspiration, take that bike, give some todays touch and add modern components. So did the first designs, did not work out as planned. Also I wanted to bring this bike under 500 Aussie dollars. I tried my heart out get it with SRAM X5. But that was a no go. Reason is the cost. When the factory came up with the price, my heart sank in. Also still no agreement on the frame. Going back to drawing board many, many times. Weeeeelll drawing board in forms of computer. So after lots and lots of back and forth design iterations on the frame, components and the look. When it comes to the frame, was set on Chromoly. Now Chromoly should be the default when it comes to frame. It is ultra strong. Just like Alloy it is a mix of ingredients with steel. Chromoly is the workhorse of steel and is a mix of steel with Chromium, Molybdenum, Carbon, Manganese, Sulphur and Phosphorus. So with this bicycle the steel grading is Chromoly 4130. Chromoly would absorb more of the road vibration as well as would give you a solid ride. Chromoly would make all your wildest dreams come true. You should see the factory's welding job (hope this may not sound like a tease). It looks like each bike has been given a special attention than they have to. You can say a frame quality soon as you lay your eyes on the frame welding job. Some places you cannot even say whether it is weld or not. As they say dodgy welding bike companies would normally last same as the time their frame last. To be honest cannot be more happier with the frame. Other than than the Frame this bicycle is equipped with components made by reputable companies. I was so exited to add SRAM components. I am a huge huge fan of SRAM. Been one for a looooong time. 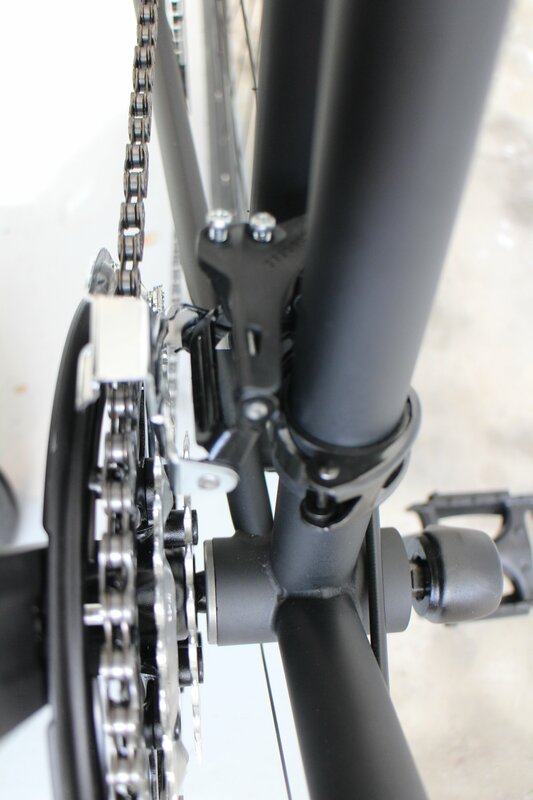 The drive train is SRAM X4. It is 24 speed. Cassette is 11T to 32T (T for teeth:). Also SRAM crankset (crank-wheel) 28Tx38Tx48T with a 175mm crank arm. So with 11 x 48 combination is good for a race, and 32T 28T would take you up any mountain. Also been testing heavily since getting my hands on this bike. It is a Joy to ride. I kid you not gear changing is a breeze. These sorts of gears few years ago were on super super high end models. Now you can have the same experience without remortgaging your backyard shed. Then comes the paint job. Now this bike has the mattest of the matte black. Normally some bikes say i am matte black. Now they are lying. It is semi matte black. Now this bike has the matte matte black. Factory has done a very good paint job. Sometimes you wait for a bike delivery and the colour is not what you requested, with this one they got it double right. If you ended up with one of these pushies please thank the factory first. They are the one who did all the hard work. Brakes, I am big fan of Tektro hydraulic disc brakes. It is made by TRP a big big company that makes brakes for high end bikes. So Tektro comes from the same innovative place. Tekreo brakes are quite reliable and durable. They would last for a fair amount of time. So other than that this bike has ultra light weight alloy mudguards. The coolest quill stem, A good quality Velo brand seat. Double wall alloy wheels. And a good quality set of Kenda tyres. As you can see parts are from reliable companies. Now the sales pitch. Please buy one and be happy. With all due respect please visit the Showroom in Fitzroy and give it a test ride and see if you like it. If you don't like, I would understand that and can you please let me know why you don't like it. That way I can learn, improve and grow to be a better bicycle man. Can I please be your preferred bicycle person. Anyways I have been testing this bike on rain and sunshine heavily. I really like how it operates. I have ridden a loooooot of bikes in my living years. I swear on my big brown eyes this is the best bicycle I have ever ridden. It is joy to ride. I would really like you to experience that as well. For what ever reason you think it does not work out for you within first two weeks of purchase, please feel free to return, shall give all your money back. I would rather keep them here. As for logos on the frame, there is the "The last chosen one" on the front of the bike and smaller version of him at the back. Also there is a small sticker with the company name on the top tube. If you don't like them please let know, I'll paint over them or please feel free to paint over them and I shall still honor the warranty. I sincerely hope you would like these bikes. It is that I did lots and lots of work on this bike. I was so exited to see these bikes and on the date of delivery I was up all night. Could not go to sleep. Waited for ever to see them. Better stop for now with my bike ramblings;-) Now that these bikes are here, very happy to offer one for you.